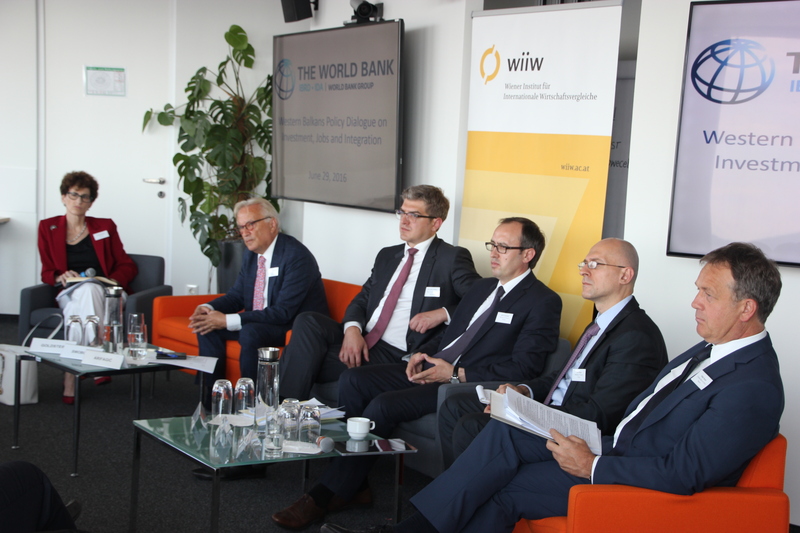 The World Bank and the Vienna Institute for International Economic Studies (wiiw) held a high-level policy dialogue on ‘Investment, Jobs and Integration’ last week. Ministers and senior officials from the Western Balkans region as well as policy experts from international organisations and the business community gathered to discuss the challenges the region is currently facing, in particular the high unemployment rate, low international competitiveness, and lack of modern infrastructure. Heightened risks in Europe make it urgent for the Western Balkans countries to pursue vigorous economic and structural reforms at home to advance their integration in the EU and globally. Participants assessed progress that has been made and discussed ways to achieve sustained economic growth in one of the poorest regions in Europe. In her welcome address, Ellen Goldstein, World Bank Regional Director for the Western Balkans noted that economic growth in the Western Balkans is recovering and is also showing signs of rebalancing from consumption-driven to investment and exports-led growth. 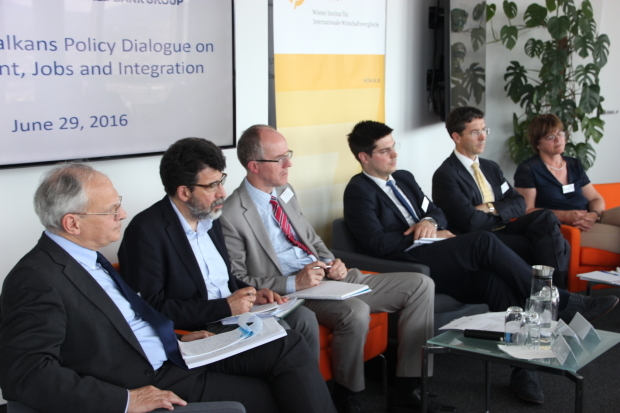 “Prosperity in the Western Balkan countries will require a fundamental shift from inward-looking to outward-looking development policies. We have seen positive signs recently, but deeper transformation will be needed to ensure attractive and predictable business environments at home, efficient regional infrastructure networks, and world-class trade logistics. Strong and sustained implementation of these reforms in the year ahead will strengthen the foundations for future growth and job creation,” said Ellen Goldstein. A notable revival of investment has started to support the rebalancing process in the region. In Serbia, Albania, and Kosovo, growth is increasingly being driven by private investment. 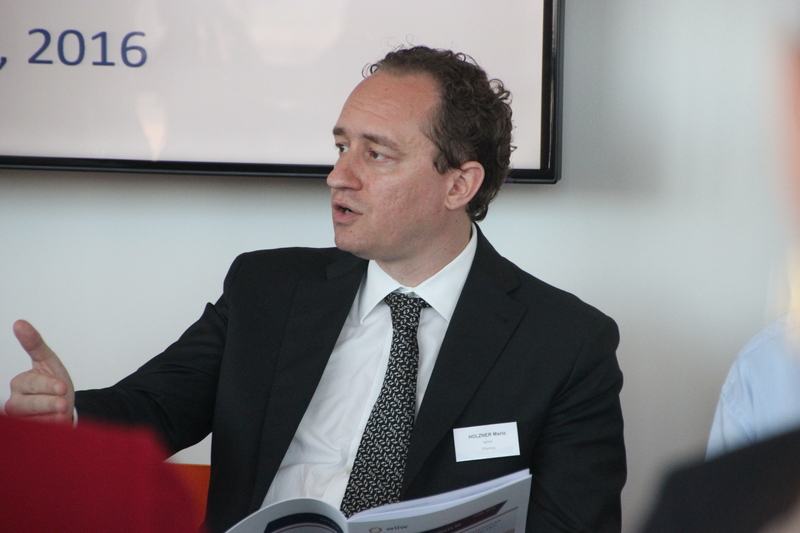 Participants noted that public investment can also play an important role for growth. “As we discuss in the World Bank’s latest Southeast Europe Regular Economic Report, given the fiscal situation and rising public debt in all Western Balkan countries, public spending needs to be carefully evaluated to ensure highest economic and social returns and safeguard fiscal sustainability. Therefore, the role of public investment management is important in evaluating the opportunity cost of public money,” said Gallina Vincelette, World Bank Programme Leader for Equitable Growth, Finance and Institutions. Participants agreed that rigorous and transparent arrangements for appraisal, selection, and approval of investment projects and reinforcement of the institutions related to funding, management, and monitoring of projects will ensure quality delivery of public services, connect citizens and firms to economic opportunities, and serve as a central catalyst for economic growth. 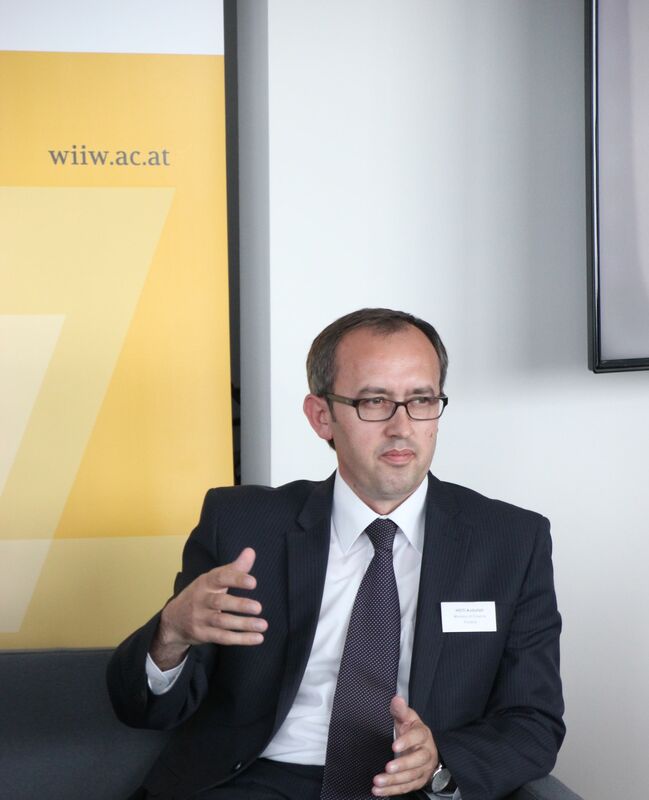 Mario Holzner, Deputy Director of wiiw, pointed out that there are policy options that can help improve competitiveness without further burdening public finances. “The Berlin process could be quite helpful in identifying priority “soft” and “hard” transport and trade facilitation measures and channeling investment to meet these priorities. In fact, we have calculated in our study on Improving Competitiveness in the Balkan Region that an investment push through the priority infrastructure projects selected in the Berlin Process, amounting to EUR 7.7 billion invested during the next 15 years, could lead to a growth impulse of about 1 percent GDP per annum and a positive employment effect of additional 200,000 people, or 4 percent of the workforce”. A focus on policies for employment was deemed critical by all participants. Very low employment rates, unemployment rates above EU levels (average 19 percent), and extremely high youth unemployment (about 45 percent on average for those aged 15-24) are a big concern. Moreover, over a quarter of young people are inactive (not in employment, education, or training). Economic growth and policies to encourage job creation are essential, but structural constraints to youth unemployment also need to be addressed. Key reforms to increase youth employment include: improving the relevance of education and training for the needs of the market; addressing disincentives for hiring young people, including through reform of labour regulations and taxation policies; improved labour market information and better targeted active labour market policies; and improved access to quality and affordable child care. Regional integration as well as further steps towards EU integration will be instrumental to achieve the many fold challenges ahead. Finance Minister Avdullah Hoti (Kosovo), Deputy Finance Minister Erjon Luci (Albania) and Sanjin Arifagic, Coordinator of the SEE2020 strategy of the Regional Cooperation Council all pointed to progress that has already been made.